The starting line is where the fun starts for these race fans. Someone at the back of the game gives the wheels a spin and each spin determines the amount of spaces the players can move their cars ahead. The first one to make it to the finish line wins. Two to four players can play at a time. 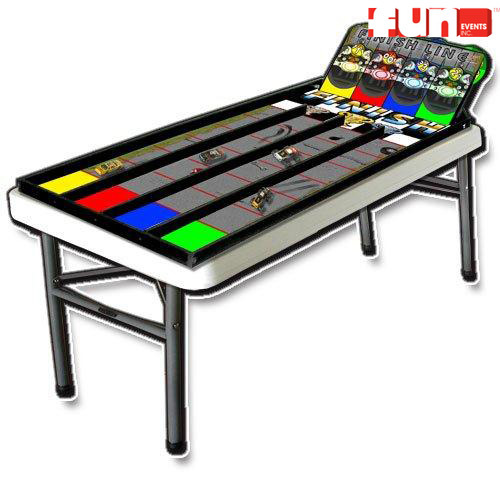 A cool game rental party idea for any special event, birthday party, church festival or fund raisers.